Annyeong! I was supposed to post this yesterday but I was having too much fun. Sorry. I actually went last Sunday just after I posted the blog. It was really interesting, and had things to see and read right from back in the day in the dynasties, through to the Korean war and then about what the ROK are doing today across the globe. 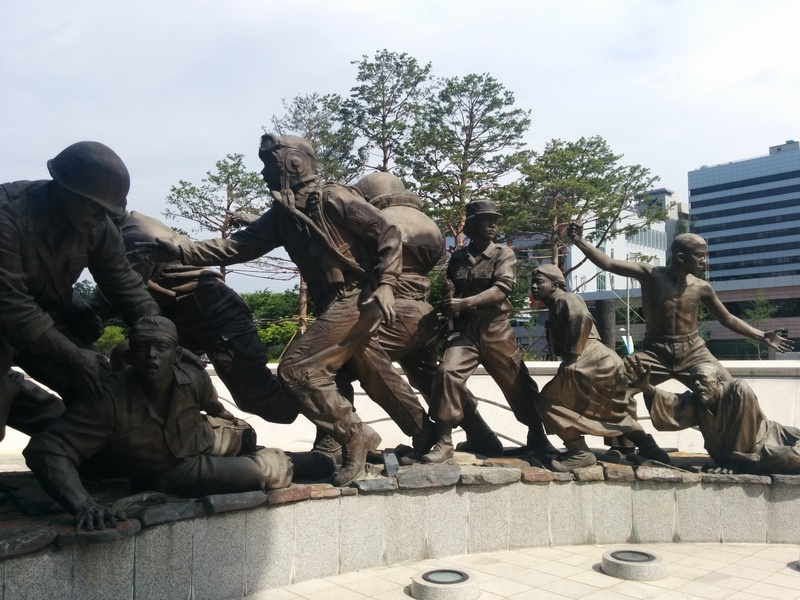 There were also these amazing statues outside that depicted what life was like for all kinds of people during the war and they were stunning. 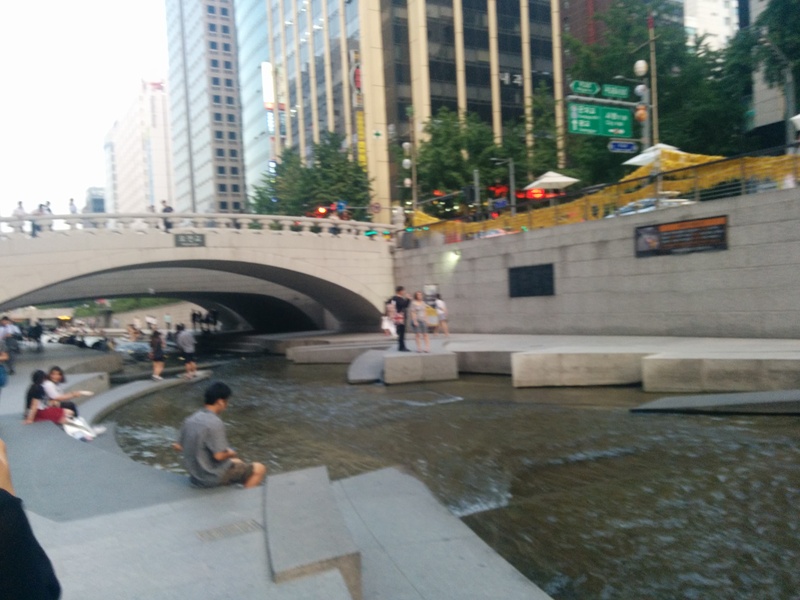 There’s a stream in Seoul that was built over post-war and made into a highway. In 2003 it was restored so it now runs in the city and has some plants and trees as well as tunnels, bridges and some modern art pieces in it. I’m glad I got to visit it (and eat waffles after). We had another 10 hours or so of Korean language lessons this week – numbers! There are two number systems in Korean that are used for different things like object counters, bus numbers, dates and prices. When you’re telling the time, you use Korean numbers for the hour and Sino-Korean numbers (based on Chinese characters) for the minutes. Confused? Yeah me too. Chung-Ang University had two campuses – one in Seoul and one in Anseong which is about an hour and a half away. 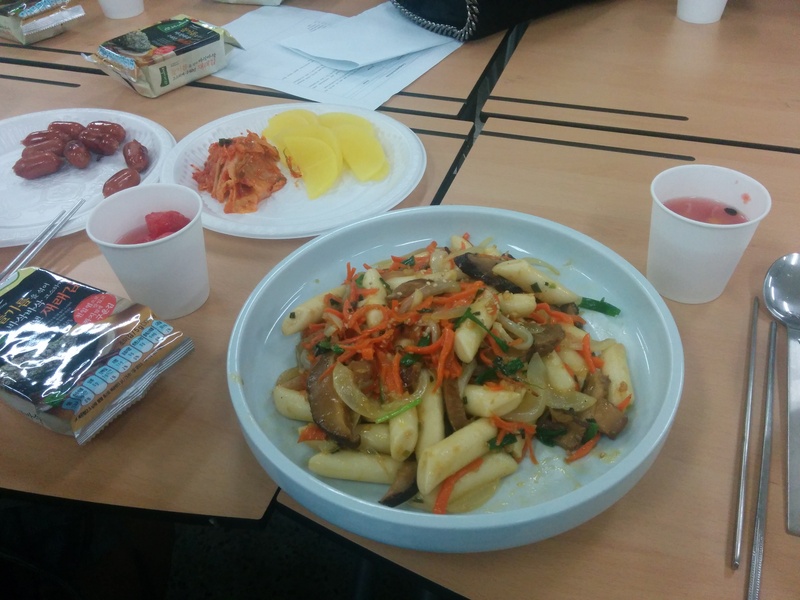 They have a lot more sports and art facilities there so we got to try pottery and Korean cooking – tteokbokki – which was rice cakes in sauce and not beef because I’m a vegetarian. 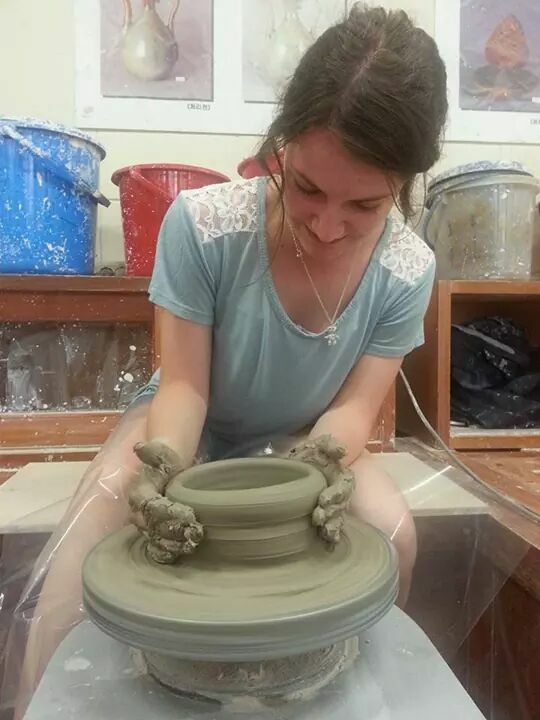 I made a plate in pottery but I’m not sure how travel friendly it’s going to be so I’ll just have to see! It was a lot of fun though. 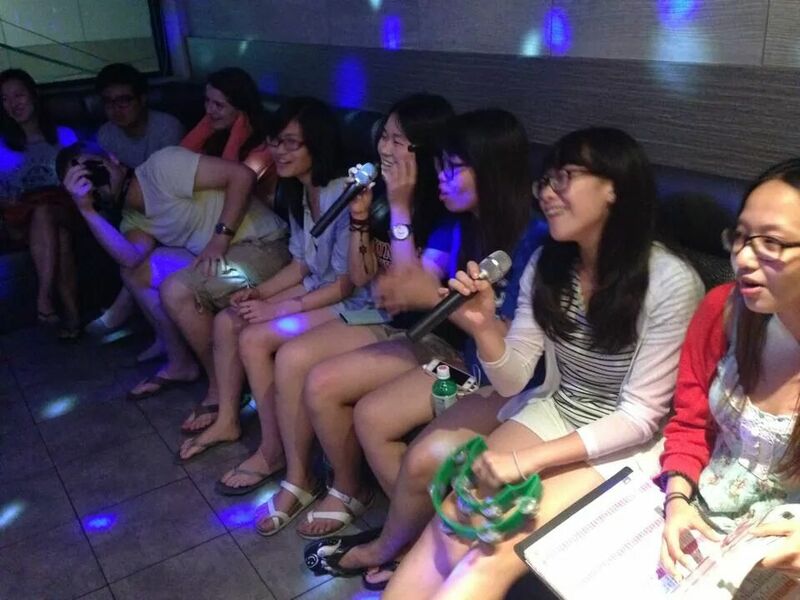 Karaoke (or 노래방) is very popular in Korea so I went to one with a bunch of people on Friday night. You basically get a room with two microphones and a really big book of every song you could possibly want to sing in any language. Du Hast by Ramnstein? The floor’s yours. I’m going back this weekend with a couple of friends for sure! I did a really bad rendition of this song because it’s one of my favourite songs ever and I know the whole dance to it. Awwww look this was 2008 they’re just babies. Also, f(x)‘s new album came out this week and that’s what I’ve been listening to non-stop. The international students visited the De-militarized Zone on Saturday, which is the border between North and South Korea. It was a very surreal experience and I just don’t have the energy or time (or space) on this blog to write about it just now so I’m going to leave it for the meantime. I did want to mention it though, because it’s probably going to be one of the most memorable parts of the entire trip. We went to another amusement park thanks to Jessie and EunSu, a couple of our group leaders – it was also a lot of fun and I got to go on a wooden rollercoaster twice, which is the fastest in the whole of Asia and steepest in the world. 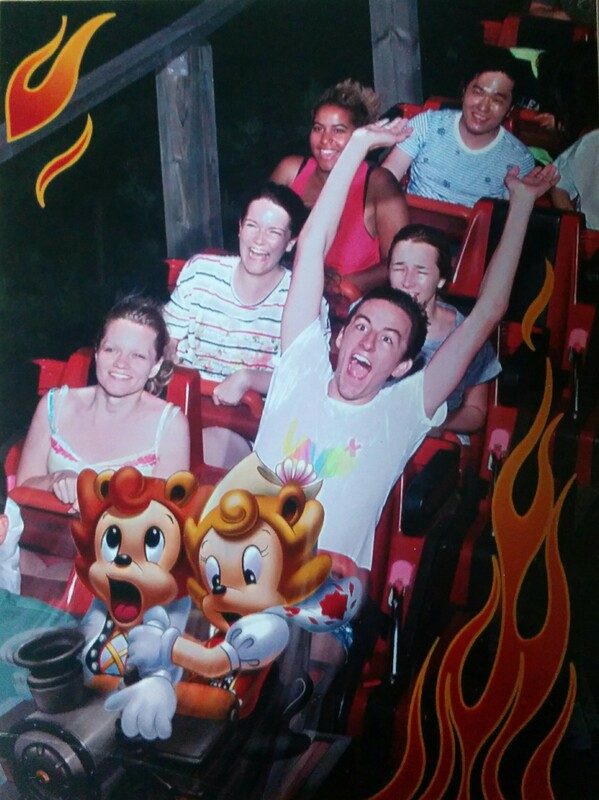 It takes your picture as you go round and I can’t get over the joy of Simon’s face. I’ve never seen the look of 110% just pure happiness before now. I’m not even looking at it right now and I’m laughing. Last full week in Seoul! I hope it’s another happy one, and that everyone is doing well!